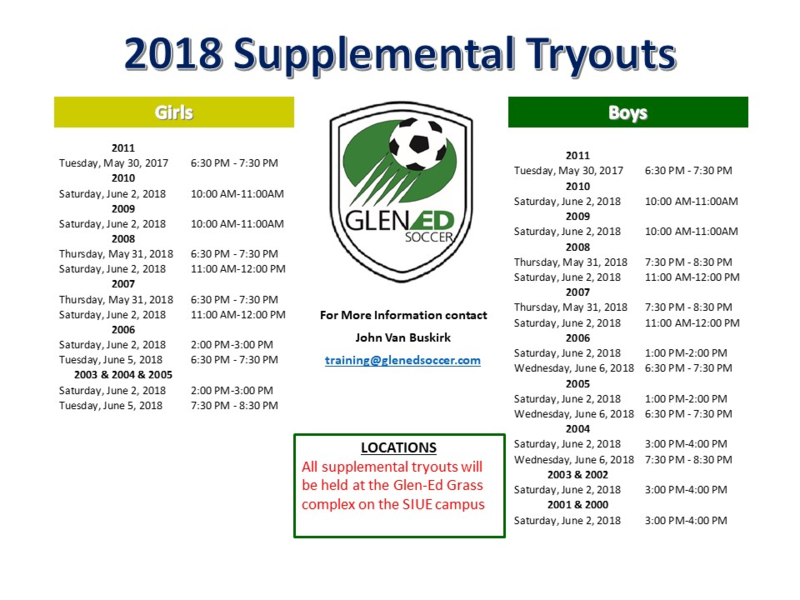 ANNOUNCING- The Glen-Ed Soccer Club dates for the 2018-2019 Player Tryouts. 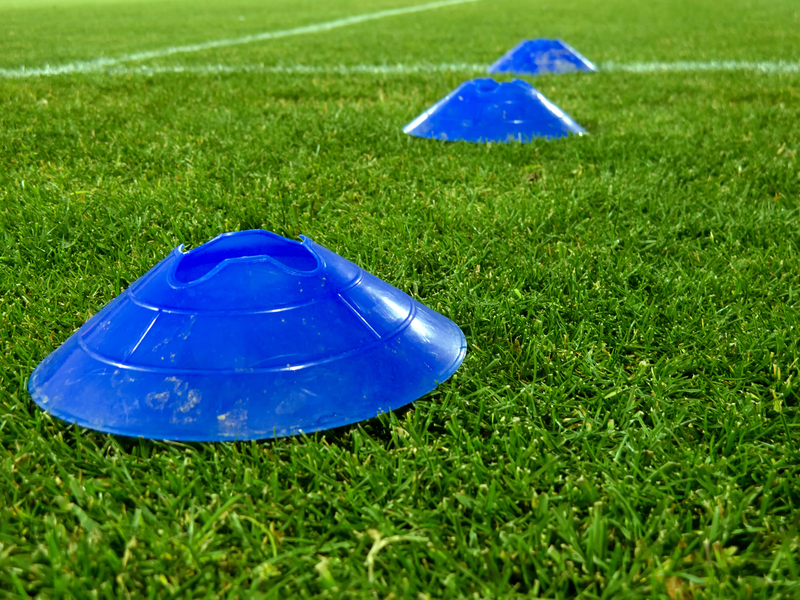 Glen-Ed Soccer tryouts will occur the dates of May 30th through June 9th with a rainout date of June 10th. The schedule is below. All players wanting to tryout for Glen-Ed soccer must register ONLINE prior to attending tryouts session. If you attended an ID session and registered already, you do not need to register again. Location for MOST tryouts (May 30, June 1, June 5-8) will be held at the Glen-Ed fields at SIUE. Tryouts on May 31, June 2 and June 3 will be held at the Edwardsville High School turf field located at the EHS Sports Complex. Before leaving to attend a tryout session, please check our website and/or Twitter/Facebook for last minute changes/cancellations which might occur due to inclement weather. Players are encouraged to attend both tryout sessions as this allows maximum time for evaluation. All players will be notified by email no later than June 24th if they are selected for a team. Under “Individual User” enter your child’s current Gotsoccer Player account Username and password. *Only create a new account if your child has never played or attended a club tryout before. Complete the tryout registration information. Verify it is completed by receiving a response email. *If you cannot remember your password: on the gotsoccer registration page below the “Individual user” is a link for “Player Password Lookup”. 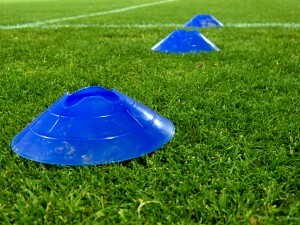 Enter the email address where you have received communication from GotSoccer in the past. Once submitted, GotSoccer will send a recovery email with the password. Good luck and we hope to see you at tryouts.